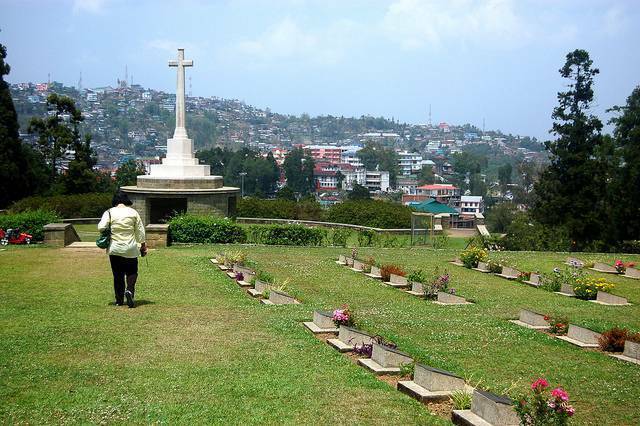 The Kohima War Cemetery had been constructed for the soldiers who were laid down during the Second World War. This war burial has been made to tribute the 10,000 Allied soldiers who had sacrificed their lives during the Japanese attack during the barbaric World War-II. This Battle of continued for almost three odd months between April 4th and June 22nd 1944.The site is now taken care by the Commonwealth War Graves Commission. The cemetery is brilliantly laid out with verdant green carpet grass and seasonal roses. The cemetery is situated on the slant of the Garrison Hill, and you can see the words “When You Go Home, Tell Them of Us and Say, For Their Tomorrow, We Gave Our Today," engraved on the cemetery.